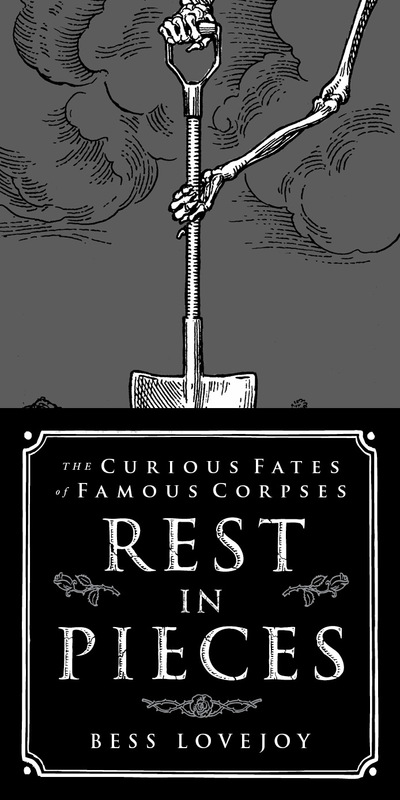 Morbid Anatomy: On the Curious Fate of the Body of Lord Byron: Guest post by Bess Lovejoy, Friend and Authoress of "Rest in Pieces: The Curious Fates of Famous Corpses"
On the Curious Fate of the Body of Lord Byron: Guest post by Bess Lovejoy, Friend and Authoress of "Rest in Pieces: The Curious Fates of Famous Corpses"
I am incredibly proud of longtime friend and kindred spirit Bess Lovejoy, who, after years of toil, has just published her wonderful book Rest in Pieces: The Curious Fates of Famous Corpses. Per my request, Bess has kindly adapted the following excerpt for this blog from one of my favorite entries in the book, on the body of Romantic poet Lord Byron. You can find out more about Bess and the book here, and order a copy of your own by clicking here. Also, if you plan to be in or around Brooklyn on April 26, please join us for a special book party/lecture with Ms. Lovejoy at Observatory; Copies of her books will, of course, be available for sale and signing. More on that here. 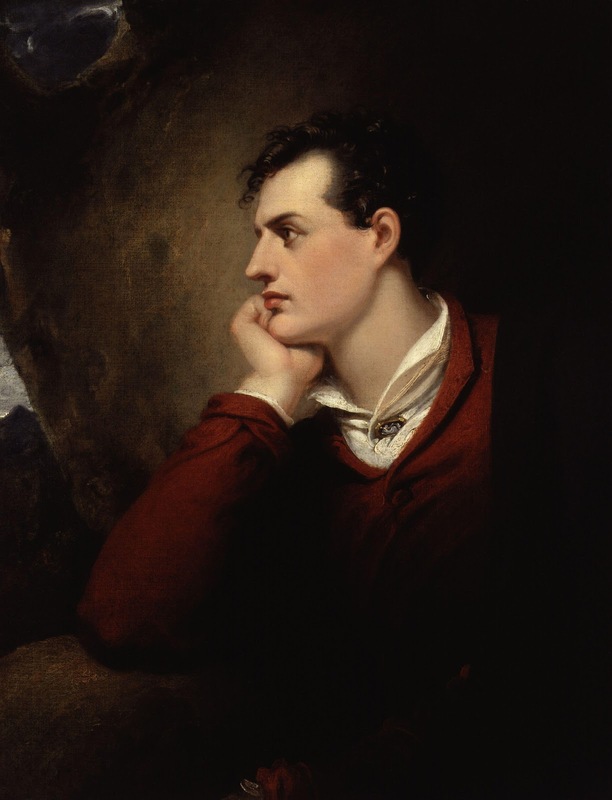 With his extravagant tastes in clothes, his sexual magnetism, and his devotion to the cult of himself, the poet Lord Byron was the first modern celebrity. He even got fan mail: women regularly wrote him letters offering praise and adoration, and sometimes even their own bodies. But eventually Byron went too far. After his brief marriage failed miserably, he left Britain in 1816 amidst rumors that he had forced his wife to perform “unnatural acts” and carried on an incestuous affair with his half-sister Augusta. In retreat, he traveled to Switzerland, where he participated in the house party that inspired Mary Shelley to write Frankenstein, and then to Italy, where he sailed with Percy Shelley and bedded Mary’s half-sister Claire. His next adventure was in Greece, where in 1823 he joined that country’s fight for independence from the Ottoman Empire. Byron tried to bolster the disorganized Greek forces, but only a year after arriving, he was confined to his sickbed. The cause, at least according to many modern experts, was malaria contracted in the Greek marshlands. His doctors didn’t understand the cause of his illness, and had Byron been given quinine in time, he might have been saved. Instead he was fed castor oil and antimony, and bled repeatedly despite his protests. “Have you no other remedy than bleeding?” he shouted at his physicians, as they pulled pints of blood from his temples and jugular. None of it did any good. Byron died just after six in the evening, as a thunderstorm was breaking over the city. Superstitious locals interpreted the wrath of the heavens as a sign that a great man had died. The city of Missolonghi, where Byron’s life ended, was plunged into despair. The morning after his death, 37 guns were fired from a nearby fortress, one for each year of his life. Black-bordered notices distributed throughout the city ordered Easter Week celebrations cancelled, and all non-essential shops and public offices closed. Meanwhile, Byron’s friends debated what to do with his body. Both requests were denied. The doctors who “hacked” Byron’s body with an autopsy found a congested brain, a flabby heart, and a diseased liver. Before stitching him back up, the doctors removed his heart, brain, and other internal organs, placing them in four urns. A mistranslated funeral oration has led to a story that the heart stayed in Greece, but in fact the Greeks got a different set of organs: his lungs and larynx. Pietro Capsali, the man in whose house Byron died, said “we wished to have his lungs and larynx because he had used his breath and voice for Greece.” But the urn with Byron’s lungs disappeared when Missolonghi fell in a Turkish siege two years after the poet’s death. The British establishment was considerably less reverent than the Greeks. One official said that Byron’s body should be burnt, a message conveyed back to London with multiple exclamation points. However, Byron’s friends decided that the most honorable thing to do was to send the poet back to England, regardless of his wishes. 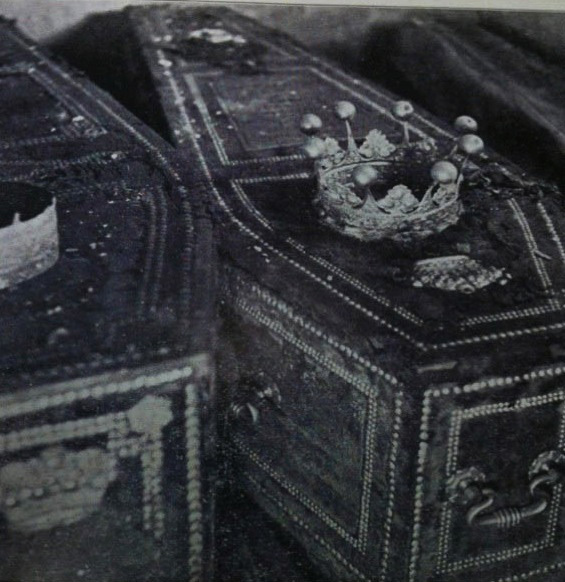 When London newspapers heard Byron’s body would be coming to England, they reported on plans for a burial in Westminster Abbey. But the Dean of Westminster, who still remembered the “unnatural acts” scandal of 1816, refused. He told one of Byron’s executors that the best thing to do was “to carry away the body, and say as little about it as possible.” In fact, it would not be until 1969 that church officials finally agreed to a memorial for Byron at Poet’s Corner in Westminster Abbey. Despite the establishment’s cold shoulder, the public still loved their poet. Sir Walter Scott said the news of his death “stunned” the nation, while to a young Tennyson the “whole world seemed to be in darkness.” When the Florida arrived in July 1824 carrying Byron's body (preserved with 180 gallons of spirits), spectators crowded the banks of the Thames. With no burial in Westminster Abbey forthcoming, Byron’s executors buried the poet at his family vault in Hucknall Torkard, Nottingham. Byron joined his father “Mad Jack” Byron, grandfather “Foulweather Jack” Byron, and dozens of other relatives with less colorful nicknames. Almost thirty years later, the vault was closed for good following the burial of Byron’s daughter Ada Lovelace. That is, until it was reopened in 1938 by the local vicar. For that story, see: Rest in Pieces.